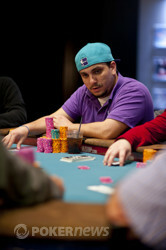 He held on for a long time, but eventually fourth place was the spot in which Joseph Couden got eliminated. 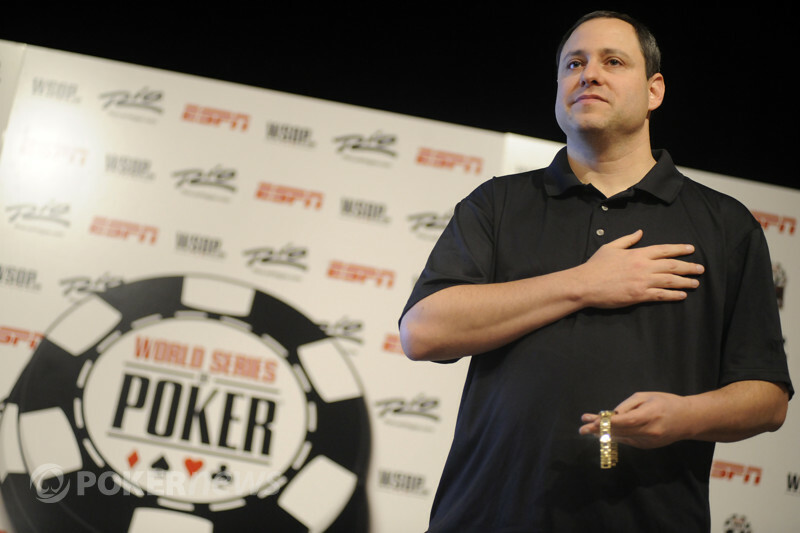 From the small blind Couden raised to 80,000 and Greg Mueller defended his big blind. The flop came down and Couden bet 40,000. Mueller raised it up to 80,000 and Couden hesitated for about five seconds before putting in 120,000. Mueller put his opponent all in for 10,000 more, which brought us to a showdown. Greg Mueller turned over and was ahead against Couden's . The turn was the and the river the giving Mueller the chips and the knockout. Couden was eliminated and we are down to just three players.